What does it take to quit drinking alcohol? 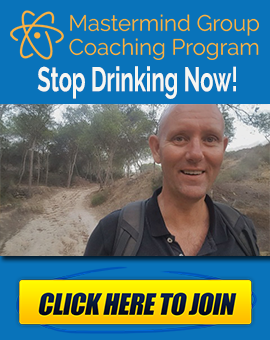 Is a rundown of some of the habits that can help you not only to quit drinking, but will help you in the long run to eliminate any habit and build the new life that you want. 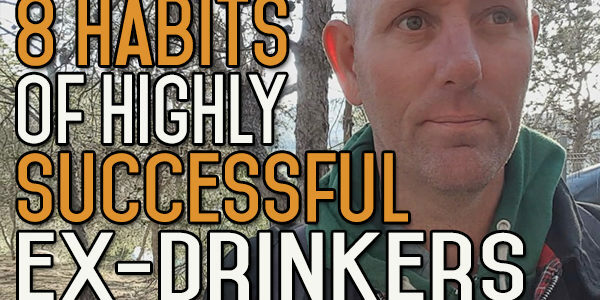 Today’s topic is 8 habits of highly successful x-drinkers. What I mean by highly successful is people who never go back to alcohol who think there is no chance in hell. They have no desire to do it. They understand what it’s done to them, and there’s no chance on this planet that they’re ever going to go back to that place again. When I’m talking about habits in this context, I’m talking about anything that can be developed into a habit. 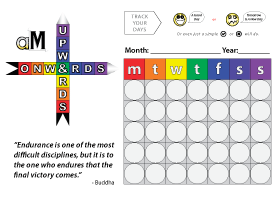 Everything starts out as a habit for some people, something that they have in their brain and they’re bringing it in and utilizing this pre-existing habit to quit drinking; or learning as they go which is basically what most of us ill do. I think it’s a bit of both. We all have pre-existing skills that we can bring in, pre-existing habits that we can utilize to one degree or the other. You’re learning how to adapt these skills to new situations that you find yourself in. And you’re learning new skills as you go along. I’ve learned so many new skills since I stopped drinking, it’s unreal. The first habit is persistence. Everyone’s got persistence to one degree or another. It all depends on the motivation for the persistence. If you’re motivated enough, you’ll find persistence and you’ll keep persisting. You will keep pushing yourself forwards. You have to find that inspiration first, that one thing that will give you the motivation to persist. Persistence is like a muscle. It’s something you can build on. It’s something that you can build up. You don’t always start out with the same persistence in one area that you can bring into another area. For instance, you might be a runner or you have a lot of persistence in your work, or your children for instance You might have persistence in a game you play, maybe football. Your dogged persistence shines out when you play football. So you have to figure out what motivate you to persist in other areas, and bring that into your quit drinking journey, and pull you away from alcohol and all those things you need to do to make sure you never go back to alcohol drinking. The second habit is to have a reason why. You can make this into a habit by thinking about why you’re doing anything you’re doing in your life, whether it’s quitting drinking or moving yourself one step towards the net goal you’re trying to achieve. It’s having that big why in the front of your mind at all times, because that will spur you on. It will give you the persistence you need. And that can become a habit. 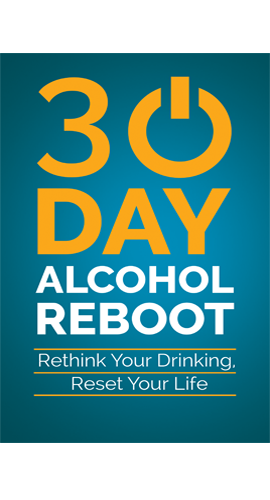 The third thing about ex-drinkers who will never go back to alcohol is they have a goal that they’re aiming towards. I keep saying this about drinking. It’s not just about stopping drinking, it’s about leaving alcohol so far behind you that you can no longer see the behaviour or think about it. It just becomes a distant memory. And the only thing that comes into your mind is when you get into new situations that you haven’t been in in a while, and the thought comes up in your mind: I used to drink here. But the goal is to see in the distance something that you’re passionate about, something you want to get into. That’s something that will pull you forward time and time again. Plan how you’re going to get there. If you don’t have a plan on how to get there, you’re going to be going around in circles. It doesn’t have to be as detailed. You can detail it as you go along, but it’s something you know. If you say, ten years down the road, I want to get to this place. Like, if I want to get there in 10 years, then in 5 years, I have to be here. And in one year, I have to be here. The next step I need to take is this. That’s how you do it you break it down into little goals. And that’s the 4th reason why ex drinkers will never go back, it’s because they have a plan on how to reach their goal. Number 5 is, once they have their plan, they have 100% commitment to achieving this plan. They’re putting down their plan and committing themselves in whatever way necessary. They take 100% responsibility for everything that goes right or wrong. Number 6 is that these people have got an understanding and a willingness to put p with the discomfort; that this is only a discomfort. They understand that it’s a sliding scale, so it starts out a lot higher with the discomfort than it finishes off. It’s a decreasing discomfort all the time. These people understand that no mater what it is, the cravings, the sleeplessness, the peer pressure, no matter what it is, it’s only discomfort, and they’re willing to put up with it until they get to the other side. Number 7 is that they’re also willing to change whatever needs to be hanged in order to make the things happen. You can’t be 100% committed to anything if you’re not willing to change certain aspects of your life. That might be just changing the fact that you don’t drink anymore, and changing certain things in your life around that fact. It might be that you’ve got to change your environment, that you’re in the wrong environment. In order to reach the goal you want to reach, you’ve got to move yourself into a different town or different city or country. It might be that you have to get rid of certain people in your life; either distance yourself or try and get into the company of other people who are going to facilitate that goal coming to fruition. This is all about understanding that change does take sacrifices. It does take discomfort, and some of that discomfort is going to be in the fact that you may have to make changes that sometimes you don’t like to make. But you have to make them if you’re 100% committed to getting where you want to be. Fighting for that place, that’s the thing that will drive you forwards, onwards and upwards. Make sure that you never go back to drinking. If you start sliding back to alcohol again, that goal is going to diminish and disappear into whatever. Number 8 is a habit of looking at things from a holistic point of view. It’s not just one area, you can’t take the alcohol out of the equation and think ‘oh well the drink is gone now’. If you want to make progress in this life, you’ve go to make certain sacrifices. You’ve got to make change in certain areas. Look at things from different views and think ‘this is not how I should be dong things. This is something holding me back’ or ‘this is something I should be doing that could accelerate my growth or accelerate my progress’. These are changes that people are willing to make. I’m going to finish it there, those are 8 different habits why people are successful in quitting drinking. It all boils down to whatever you can think of in your own head that will pull you forward. Find something in your future that will irrevocably pull you forward and help you leave the alcohol behind. You want to put as many obstacles between you and the alcohol, so that it makes it more difficult. There’s an old saying: burn your bridges after you’ve crossed so that you can’t go back across the bridges. Build as many bridges in front so that you’re accelerating your journey, and you put in as many inspirations as you can. 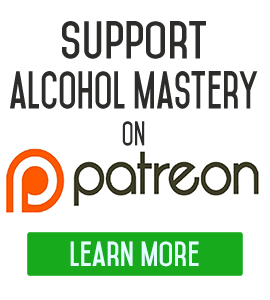 If you want more information about quitting drinking, come on over to aloholmastery.com. It’s growing into a real archive of excellent material from motivation and inspiration to How to deal with cravings. We’ve also go one on one coaching if you’re interested in that. We’ve got the form over on Facebook and the newsletter. MAKE MISTAKES. LEARN FROM THEM. MOVE ON.